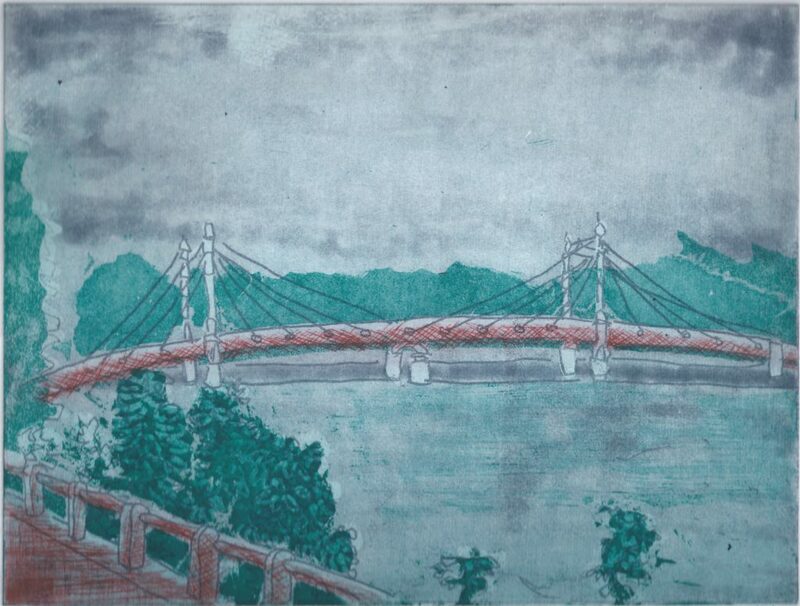 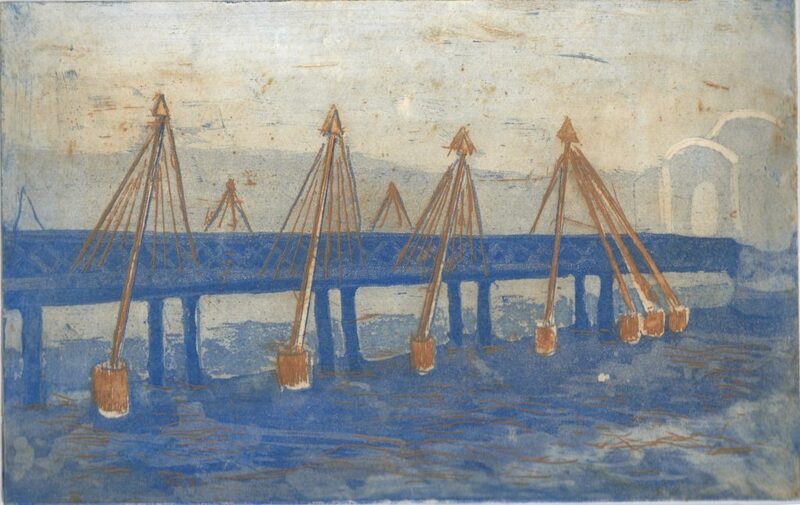 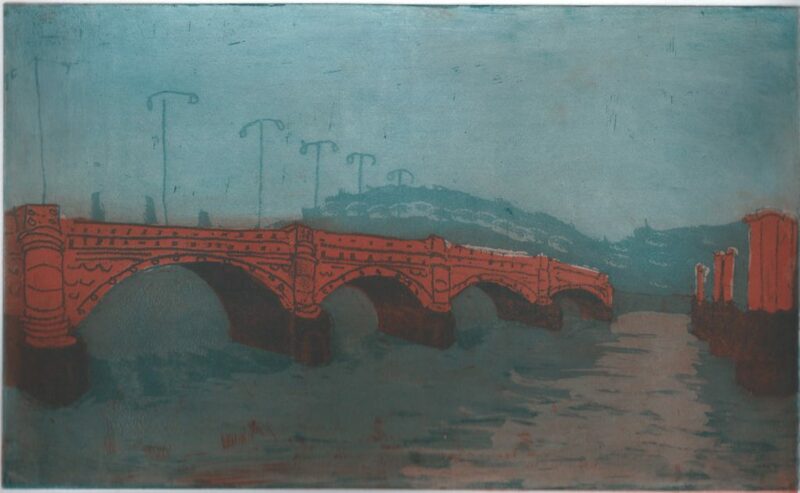 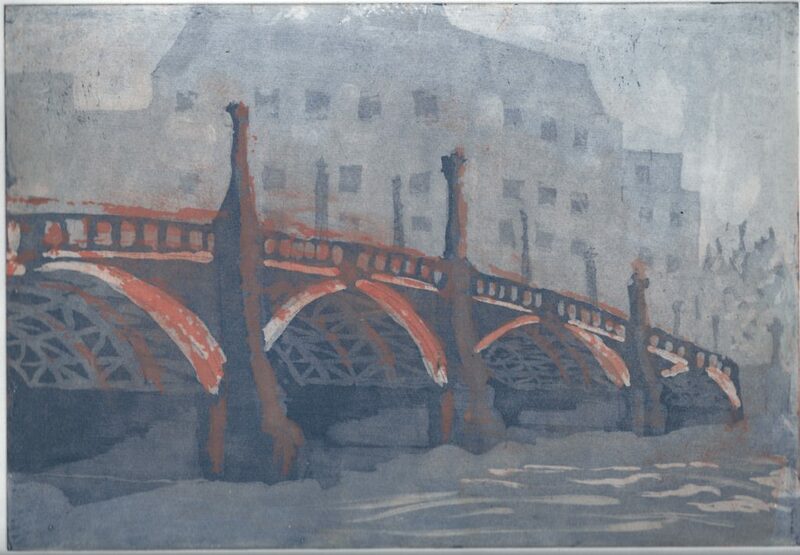 In Spring 2013, I made a series of two-colour prints of Thames bridges based on sketches made the previous autumn. 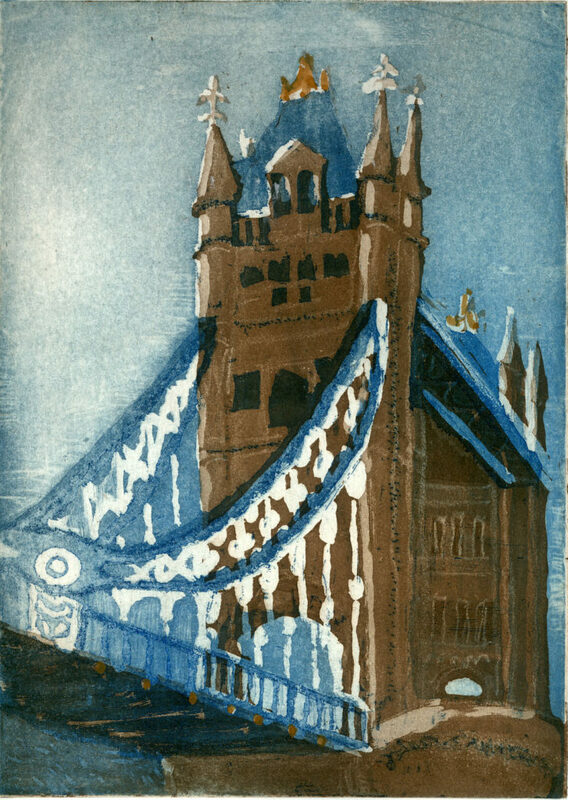 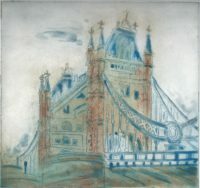 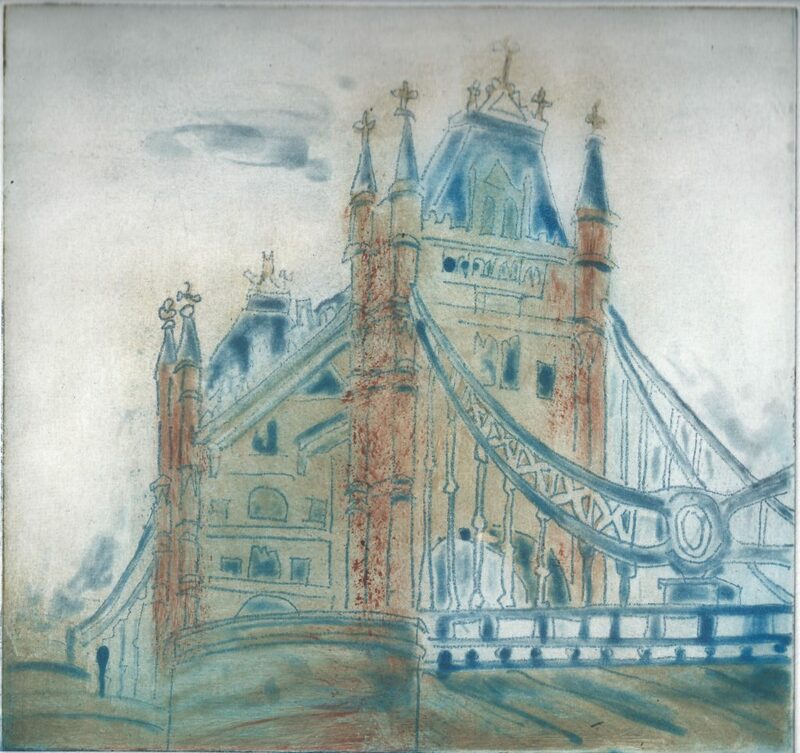 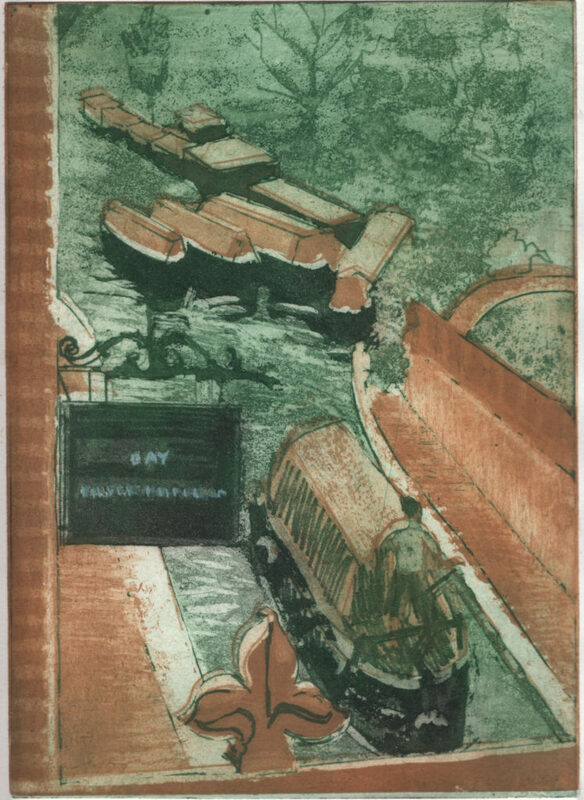 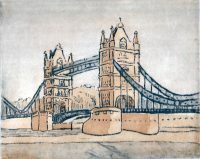 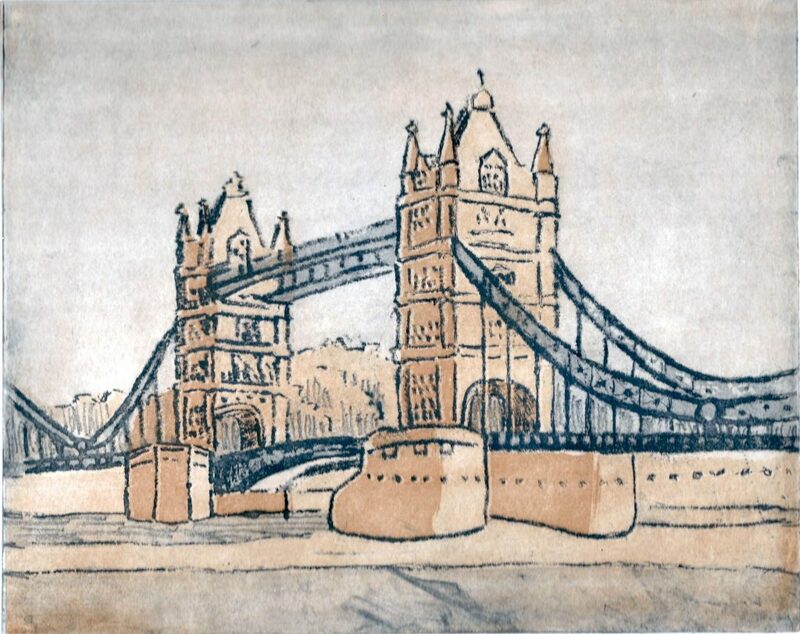 Two of the prints of Tower Bridge were made before the series started. 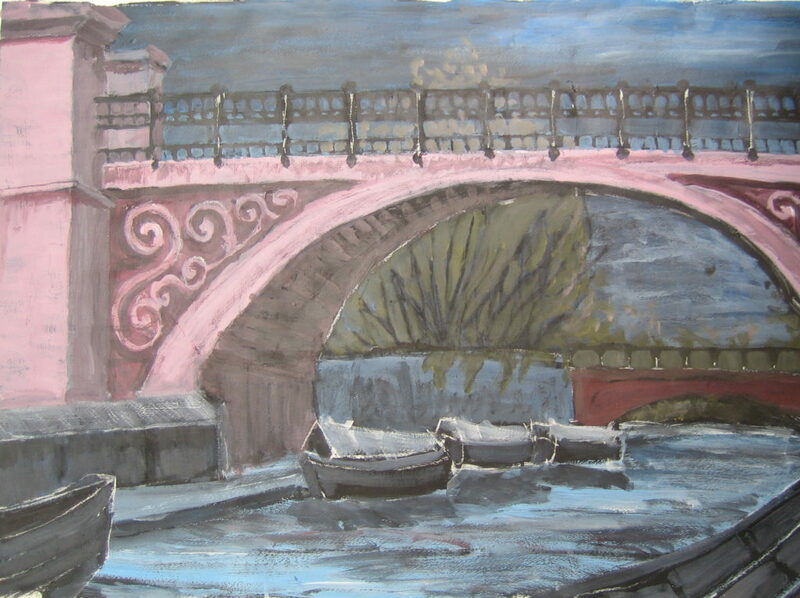 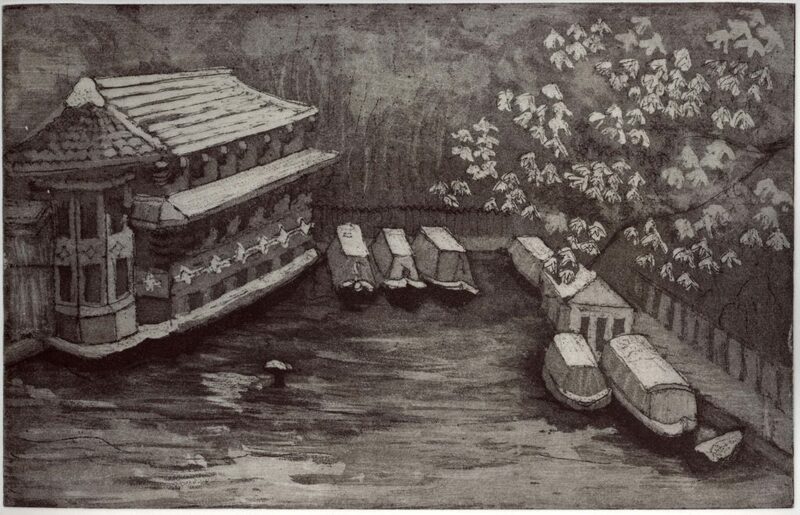 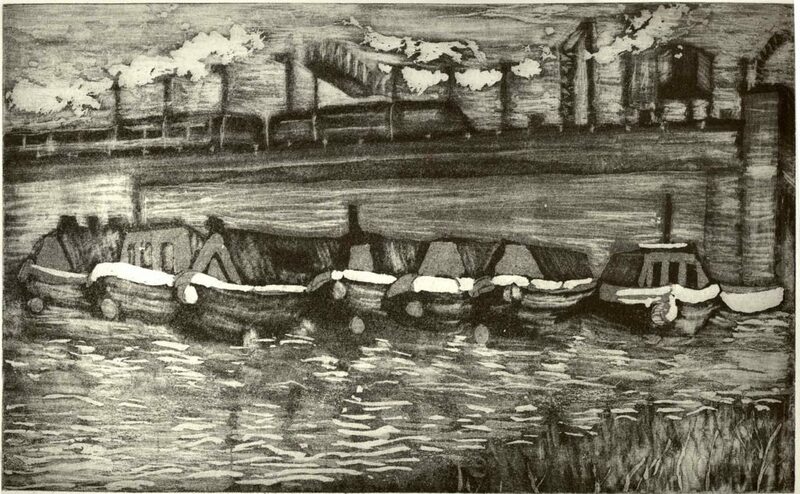 I made a series of drawings of Regents Canal in spring and summer 2006. 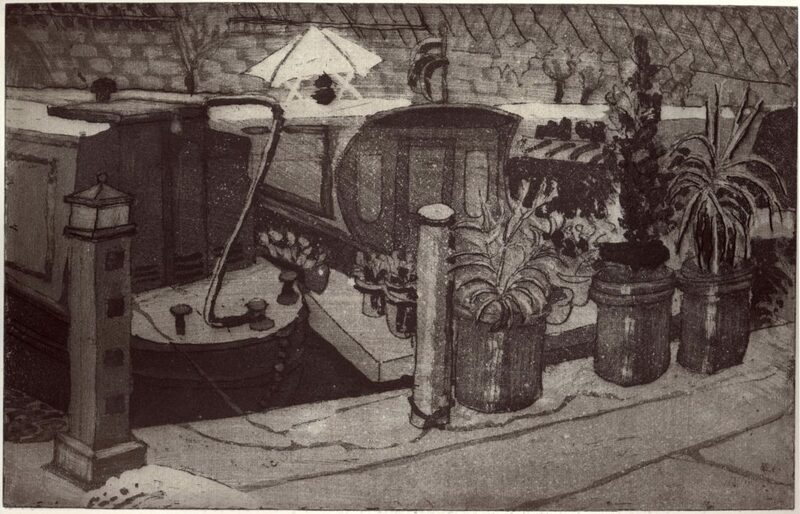 The black and white prints and the acrylic painting were based on these studies. 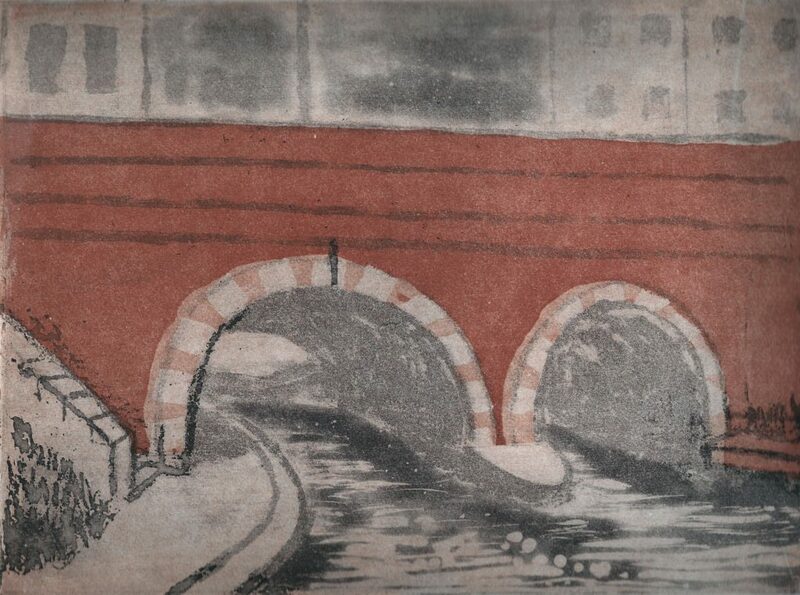 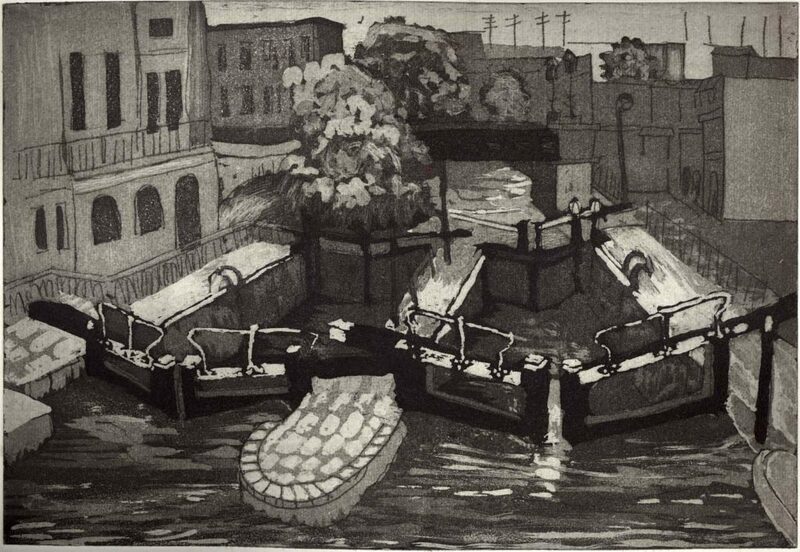 The two-colour print of Little Venice was made in summer 2008.